What kind of a name is “The Clueless Goat”? Is it because this is the lunar year of the goat? 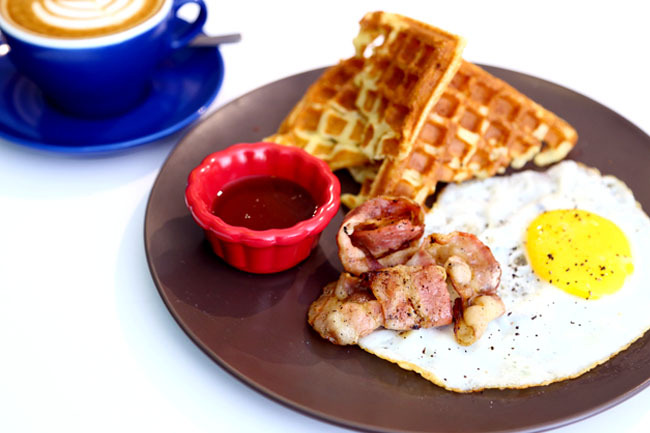 There are so hipster cafes in Malaysia by the name of The Curious Goat, and Frisky Goat. Goat is in, ah? 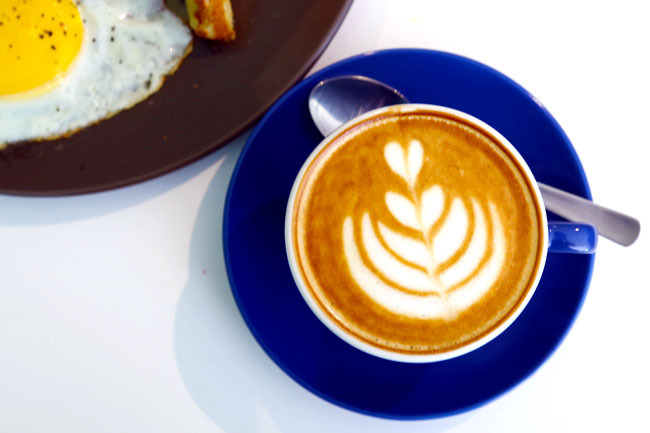 The name is to pay homage to an Ethiopian goat which accidentally helped discover coffee. Word has it that this goat was eating berries from a shrub and started behaving strangely. His herder was curious as to why his goat was prancing around and believed that the berries had spiritual powers. He brought them to a monk who brewed the produce into a drink. Then, coffee was born! 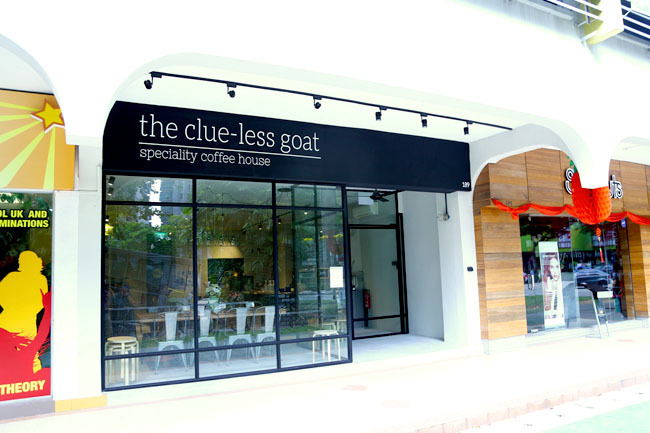 The Clueless Goat at Goldhill Centre (near Novena MRT) is a humble down to earth café. Coffee is good – balanced, aromatic and smooth, sourced from Common Man Coffee Roasters, using the 22 Martin Blend which is a medium roast. The owners were previously working at Penny University, and got their training there. Their experience showed. 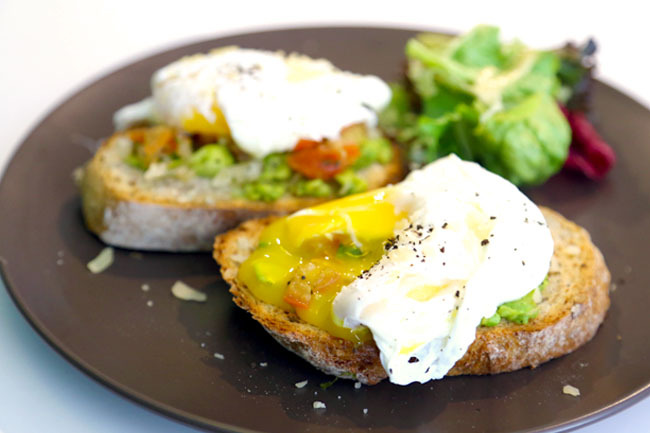 Items available included Ranchers Eggs ($8.50) – smashed avocado, fresh salsa, poached eggs and shaved parmesan on multigrain toast, Eggs Benedict with Salmon or Honey Baked Ham ($11.80), Roast Beef Sandwich ($9.50), and Breakfast Waffles ($9). 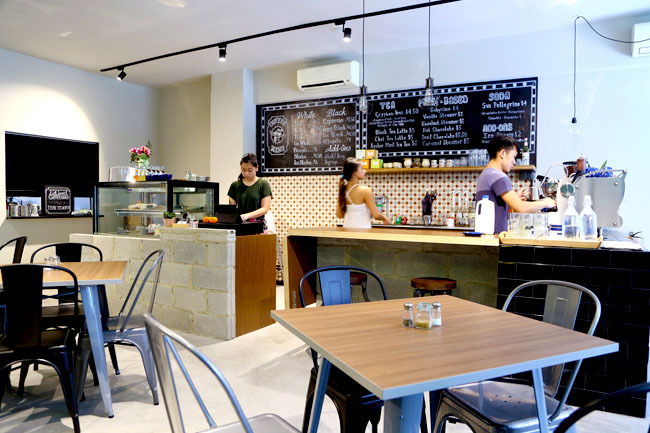 Prices are lower than many other cafes offer, and I was surprised to see the final bill. Usually during café hopping, I would hand over a $50 note, and have little change. The food wasn’t ‘meh’, but didn’t excite either. 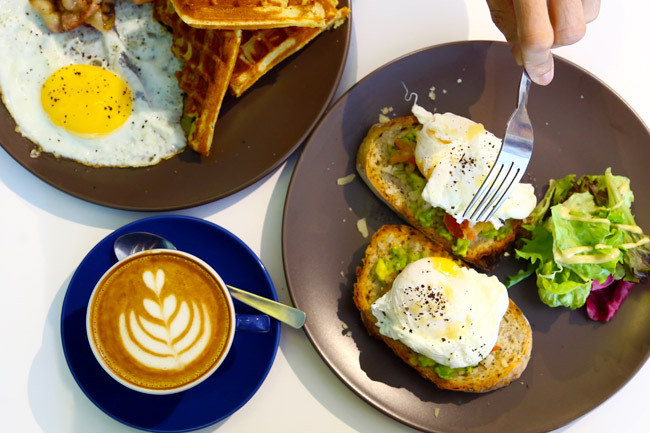 I mean, we would have had eggs ben, scrambled eggs, sandwiches and waffles at all the other cafes out there. Good coffee, decent food, but would The Clueless Goat would need the X-factor to propel them to stardom. Hi, just wanted to let you know i think there is a typo on the opening hours for the weekend…it says 9pm start time.